The nearest airport is Thiruvananthapuram International Airport, located at Valiyathura is about 7 Km from the shrine. Many international air carriers operate daily international flights to Middle East, Male and Sri Lanka from Thiruvananthapuram. The nearest Railway station is Trivandrum Central Railway station located at Thampanoor is about 2 Km from the shrine. 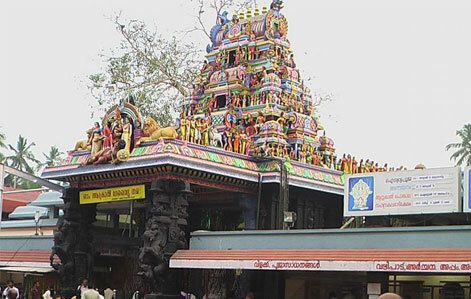 The Attukal Bhagavathy Temple, one of the ancient temples of South India, is popularly described as Sabarimala of the Women, as women form the major portion of devotees. The Goddess in the temple of Attukal is worshipped as the Supreme Mother, creator of all living beings and the mighty preserver as well as destroyer of them all. The pilgrims from all over the country, who visit AttukalPadmanabha Swamy Temple and worship the Lord, do not consider their visits complete without the visit to the shrine of the supreme Mother Attukalamma. Vishnumaya took the incarnation of Bhagavathy to annihilate the evil and protect the good in the world in the present Era namely Kaliyuga. Attukal Bhagavathy is supposed to be the divinised form of Kannaki, the famous heroine of Chilapathikaram, written by Elenkovadikal,the Tamil Poet. The story goes that after the destruction of ancient city of Madurai, Kannaki left the city and reached Kerala via Kanyakumari and on the way to Kodungalloor took a sojourn at Attukal. Kannaki is supposed to be the incarnation of Parvathy, the consort of Paramasiva. The all powerful and benign Attukal Bhagavathy reigns eternally supreme at Attukal and nurses devotees as a mother does her children. Thousands of devotees from far and near flock to the Temple to bend before the Goddess with awe and reverence to prostrate and redress their affliction and agony. 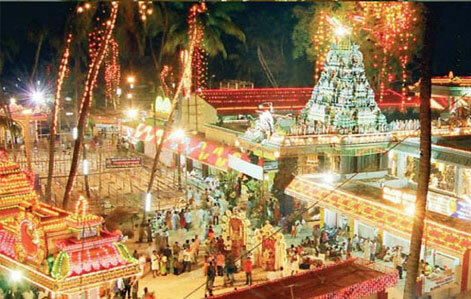 The Pongala Mahotsavam is the most important festival of Attukal Bhagavathy Temple. The offering of Pongala is a special temple practice prevalent in the southern part of Kerala and some parts of Tamilnadu. It is a ten-day programme commencing on the Karthika star of the Malayalam month of Makaram-Kumbham (February-March) and closing with the sacrificial offering known as Kuruthitharpanam at night. 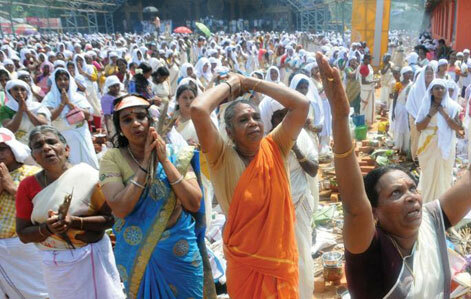 On the ninth day of the festival the world famous Attukal Pongala Mahotsavam takes place. The entire area of about 5 kilometre radius around temple with premises of houses of people of all caste, creed and religion, open fields, roads, commercial institutions, premises of Government offices etc. emerges as a consecrated ground for observing Pongala rituals for lakhs of women devotees assembling from different parts of Kerala and outside. The ceremony is exclusively confined to women folk and the enormous crowd, which gathers in Thiruvananthapuram on this auspicious day is reminiscent of the Kumbhamela Festival of North India.